Writing is hard! It's no wonder that some children get switched off at an early age, when we consider how many skills and elements there are to a good piece of writing: spelling, neat handwriting, capital letters, grammatical accuracy, good use of vocabulary, varied punctuation, capital letters, paragraphs, plot, dialogue, effect on the reader and sentence structure! 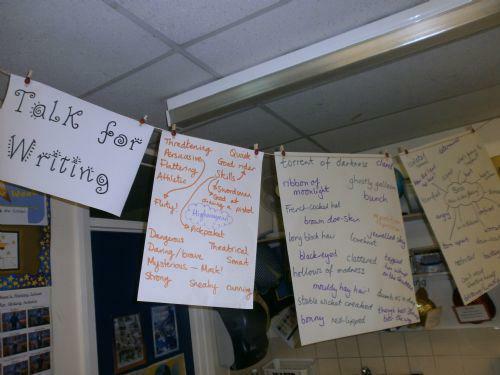 At St Matthew's, we use talk for writing to stimulate and ignite the children's imagination in English. It focuses on children learning the language structures of key text types through rehearsing example texts verbally, whilst also using actions and games, until the text becomes internalised. It appears to then allow children to gain confidence and write pieces of writing which engage the reader and are appropriate to the text type. In other words, children are able to focus on the fun, creative and descriptive parts of their writing without having to worry about the basic structure, as this has already been internalised. 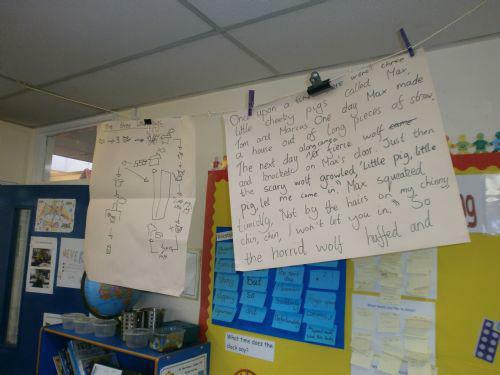 Have a look at the pictures below which show the new approach to the writing process. Here are the actions which we use in our school to act out key words from texts.